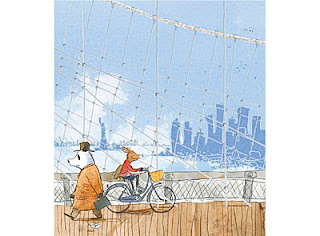 We have three new prints from Gus Gordon’s fabulous new picture book Herman & Rosie (Penguin Books Australia). Set in New York, this gorgeous picture book by Gus Gordon is a story about friendship, life in the big city, and following your dreams. This is a tale about a big city. It's a tale of hotdogs and music and the summertime subway breeze. 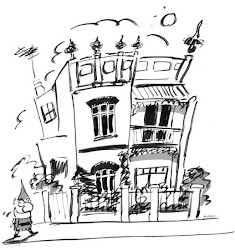 It's a tale of singing on rooftops and toffees that stick to your teeth. But most of all, it's the tale of Herman and Rosie. 'Quirky, soulful and alive . . . a book to treasure, like a favourite song.' Markus Zusak. For Jazz buffs read the review on Jazz Planet blog!